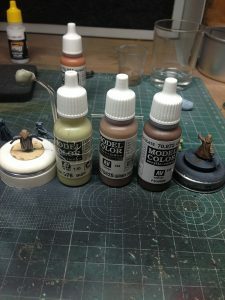 Here we go with the first part of the long awaited series on how to paint German WW2 camouflage patterns. We’ll start with the Palmenmuster (palm tree) camo pattern for Autumn, so predominantly in brown and orange colors. I am not claiming that my way of painting camo patterns is the best way or the most accurate way. 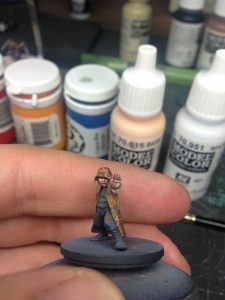 If you have a different approach to painting it and you like yours better, I’d love to hear from you how you do it. 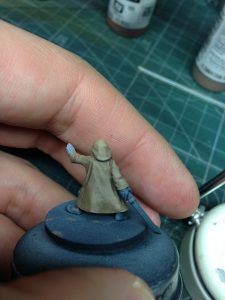 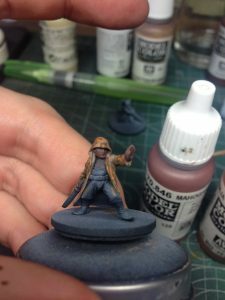 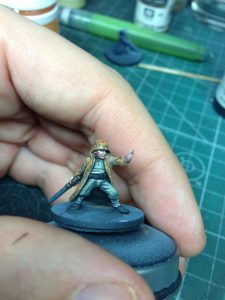 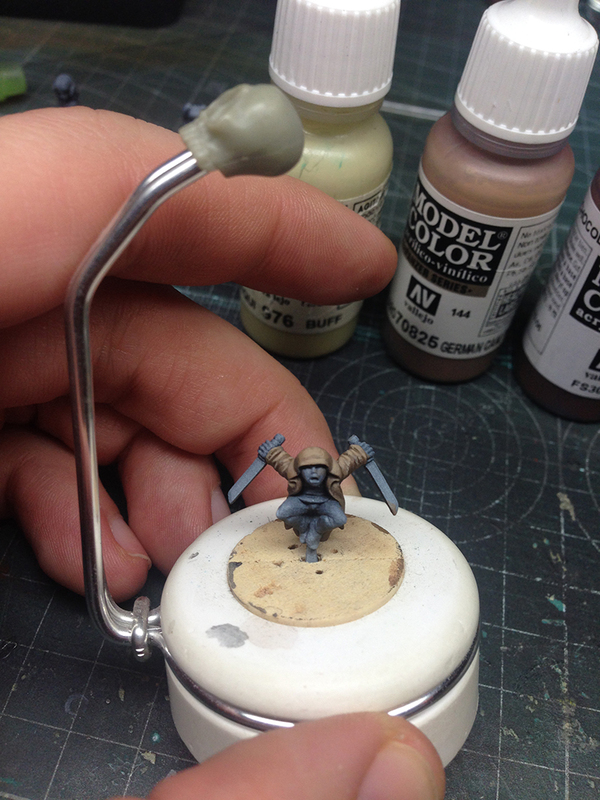 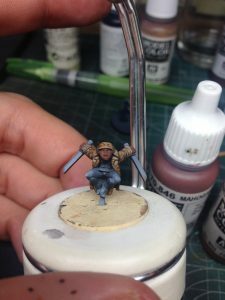 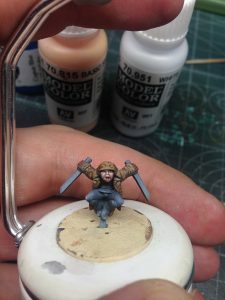 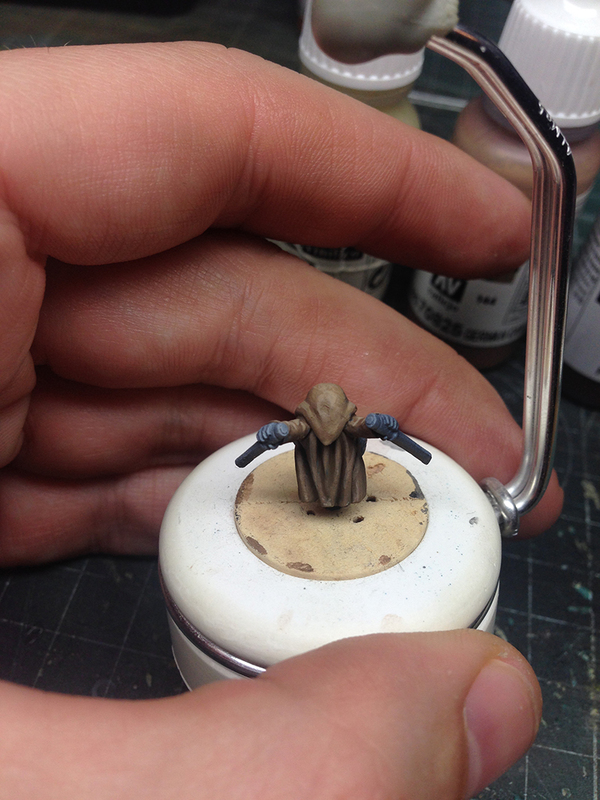 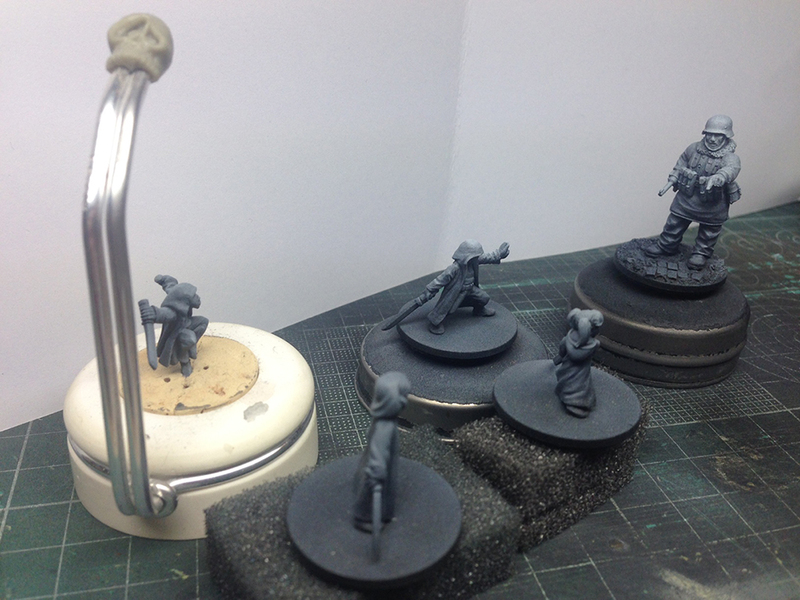 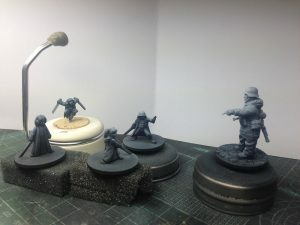 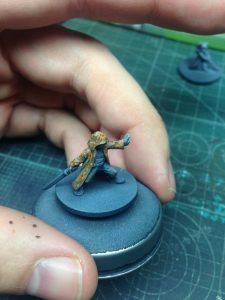 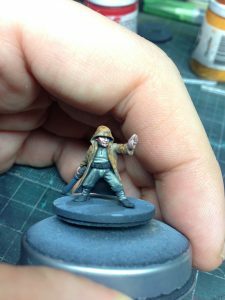 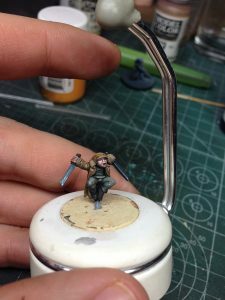 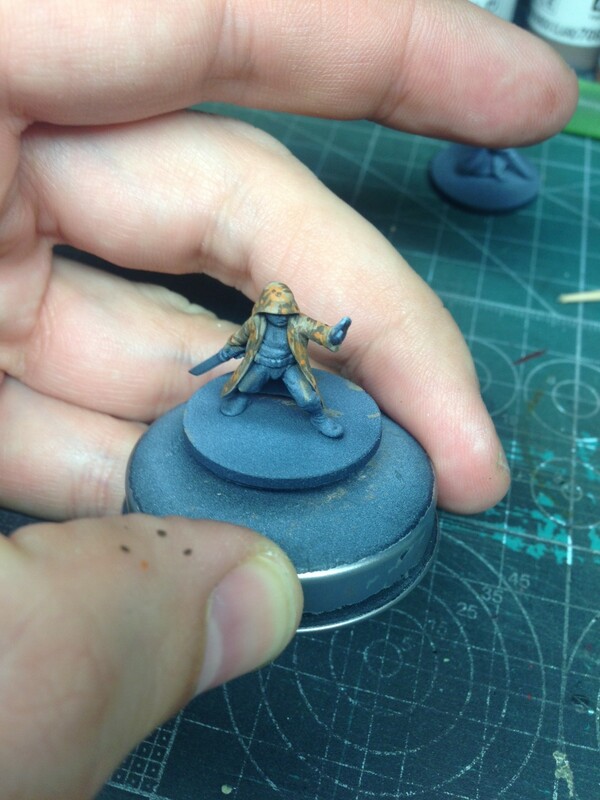 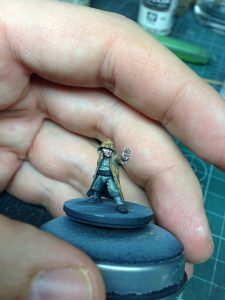 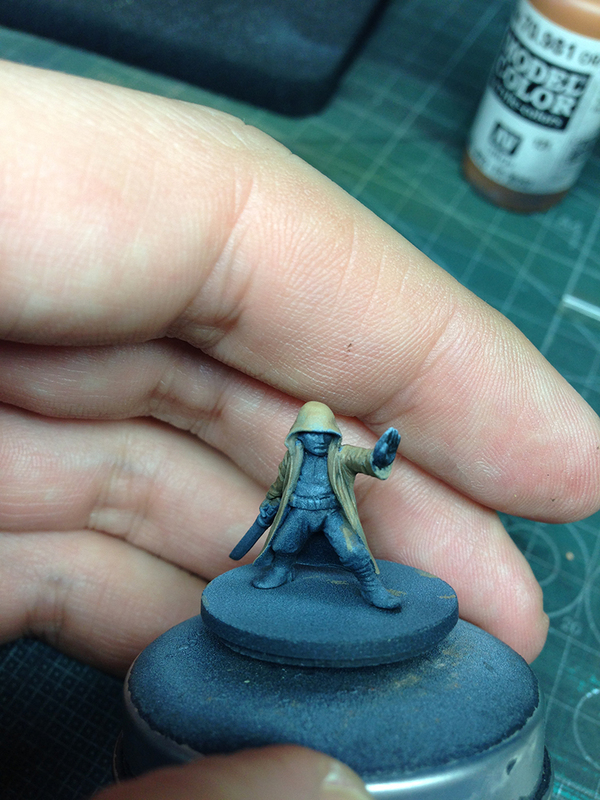 When I decided to start with the work for this article, I already had a few primed miniatures sitting on my workbench. Not really all of them (or even more than one of them) was an obvious choice for painting WW2 camo, but at the end of the day I thought “whatever…” and decided to paint a few Jedi kids in camo. The boys in Autumn colors for this article here and the girls in Spring/Summer colors for another article coming up. 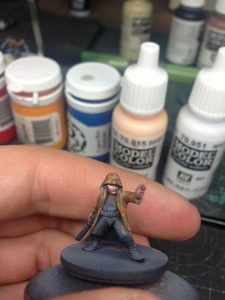 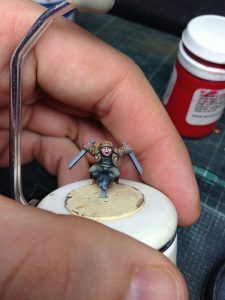 Before I get started, I want to highlight a painter and a painting guide that the guy created, because everything that I am describing here is basically based on his concepts: Ruben Torregrosa aka HeresyBrush. 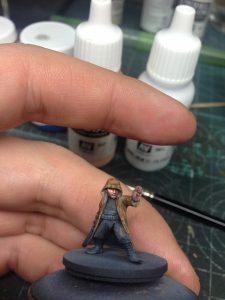 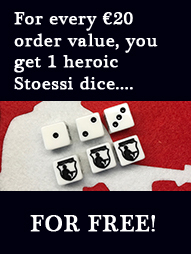 If you know him, you know exactly what I am talking about when I say that he is one of the best tabletop wargaming painters out there for both, 28mm and 15mm. 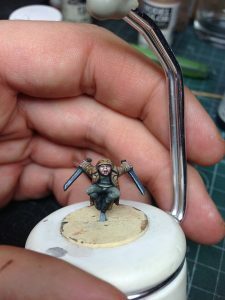 If you haven’t heard of him, you really need to check out his work. 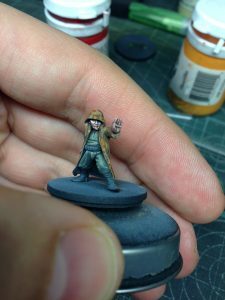 He is a great inspiration for me. 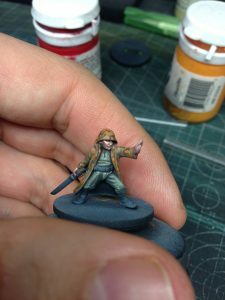 For everyone, who wants to paint WW2 Germans, you really need to get yourself a copy of PaintingWar Issue #1 WWII German Army. 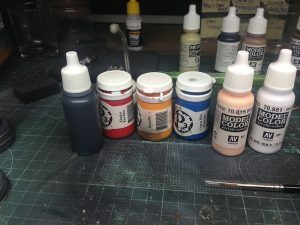 It is REALLY good and I use it all the time for reference. So let’s get started. 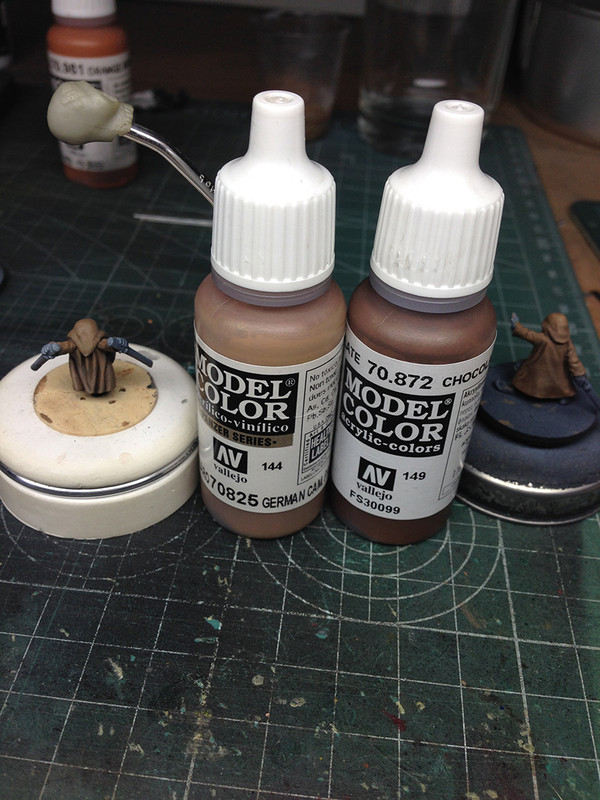 I started painting a base color consisting of German Pale Brown (MC825) and Chocolate Brown (MC872). Next, I started adding Buff (MC976) into the mix to create my highlight color. Take a look at how my palette looks like. 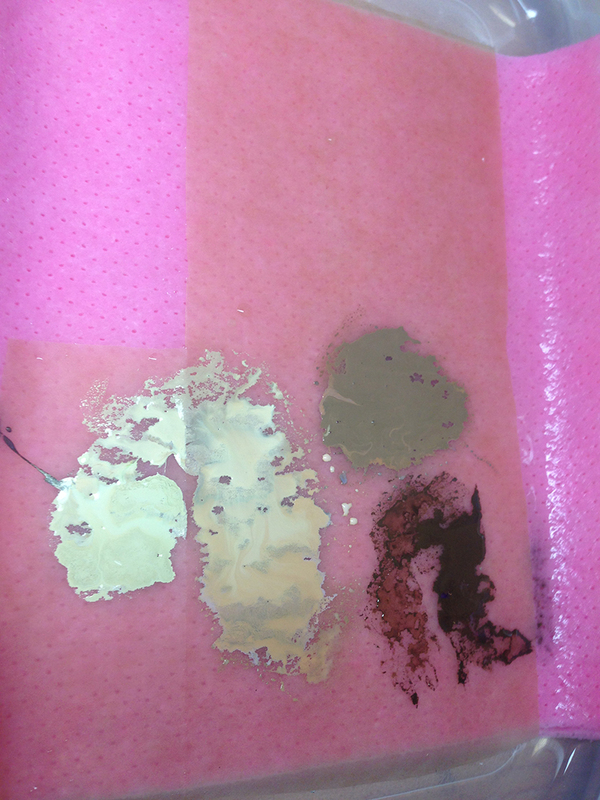 You will notice that I actually have not just one highlight color on there, but really a color pool on the left of the picture that starts at the pale brown tone and transitions all the way to pure Buff. 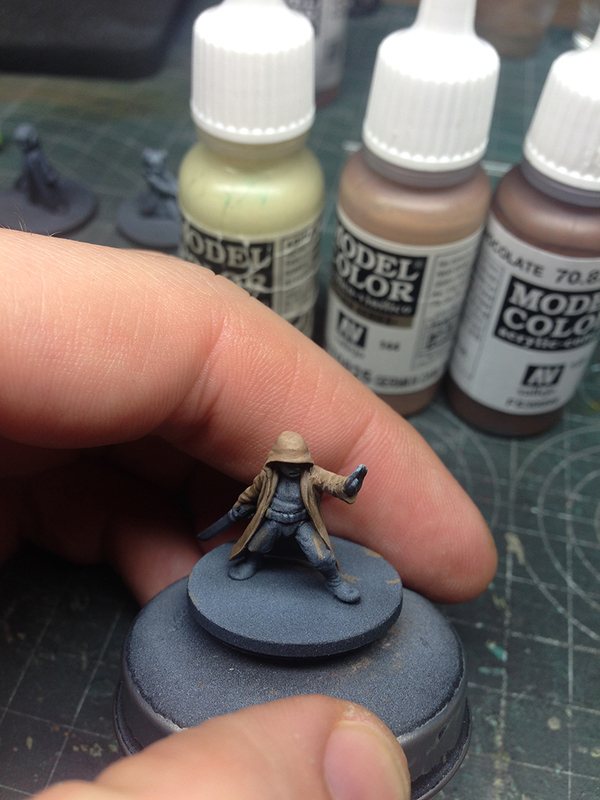 This means that I can draw from many different highlight tones with different levels of intensity. 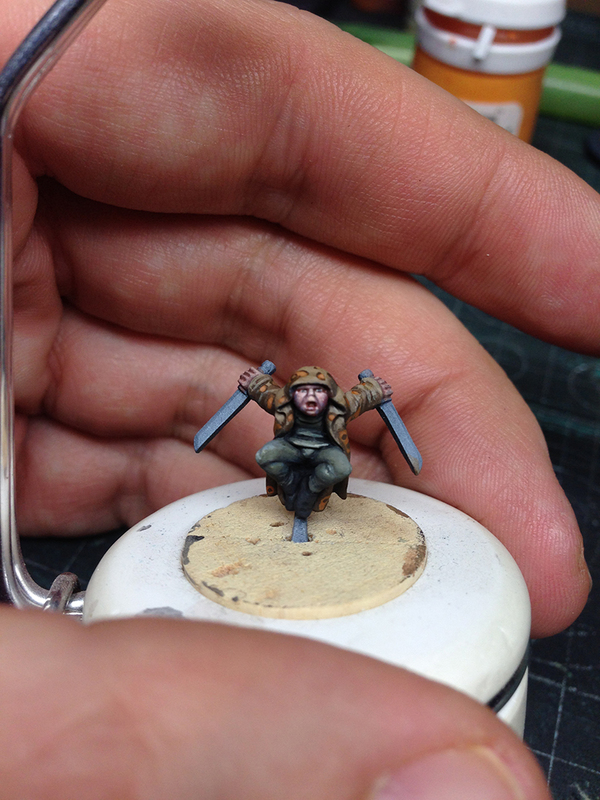 Once that base layer of brown that I described above is done, you just paint on the camo pattern. 1) Paint on some dark brown blotches. I used a mix of Chocolate Brown and Black for this. 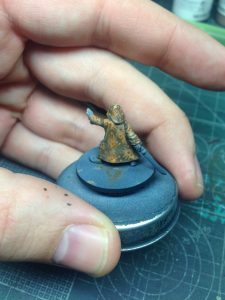 2) Next, you paint on some orange-brown blotches (for example, Orange Brown, MC981) which should touch the brown blotches that you painted in the previous step. 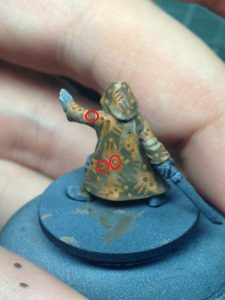 3) Then you start adding the actual palm leaves by painting thin stripes in the same dark brown that you used in step 1). These stripes should go from the dark brown blotches and reach into the orange blotches and some of them also into those areas where you have the pale brown base color. 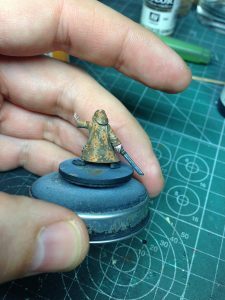 You do the same with thin orange-brown stripes which need to go from the orange blotches and reach into the dark brown blotches. 4) Now it’s time to paint on some dots… Paint dark brown dots into the orange blotches and base color areas. Then paint orange-brown dots into the dark brown blotches. 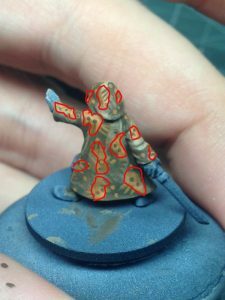 I used a wooden toothpick to paint my dots… some of them are a bit too large I think, so next time I paint this pattern (or some other patterns with dots) I will be more careful. 5) Finally, paint a few orange-brown dots into dark brown dots and vice versa. 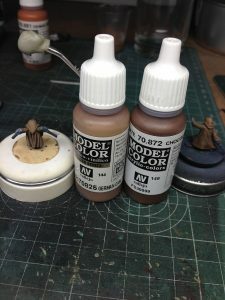 What I am doing in essence is to create a number of different “skin color” tones by mixing the Basic Skintone with Mahagony Brown and gradually adding more Basic Skintone to get nice highlight colors. 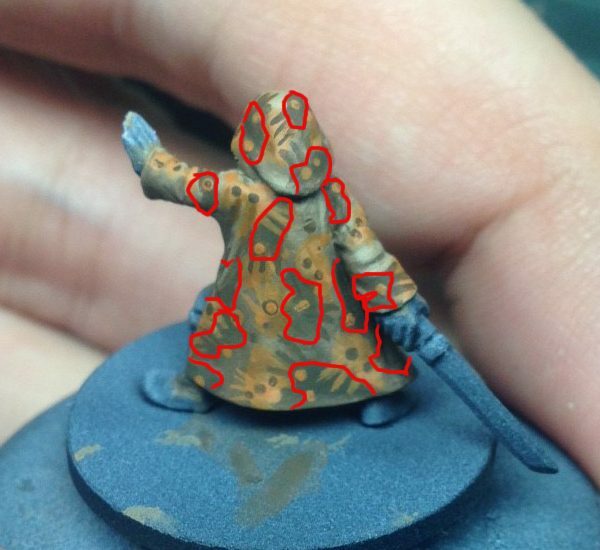 I even add pure white for the last few highlight dots. 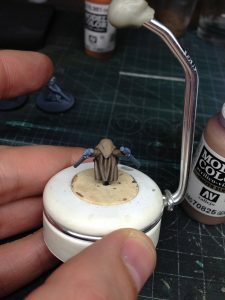 On the other hand, I am adding black to create shadow colors which I need for the eye sockets and other small areas (i.e., right under the nose and right under the lower lip). 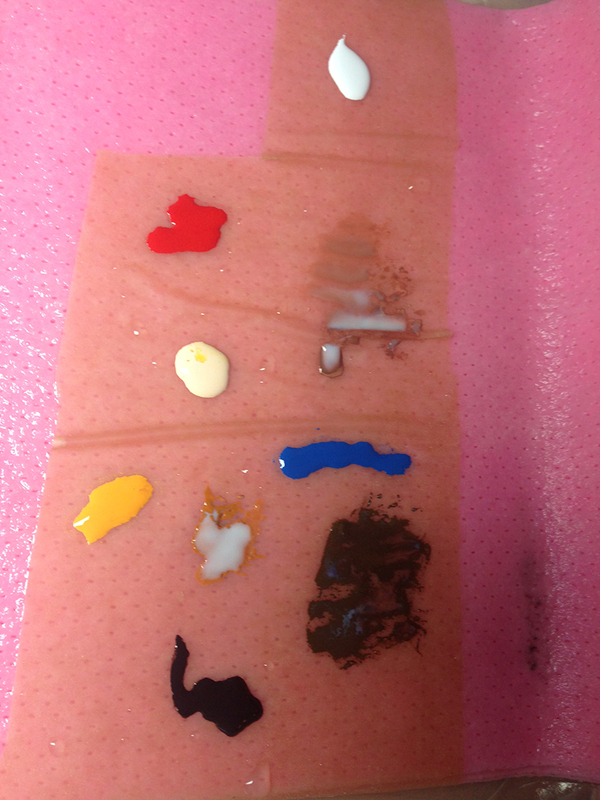 The red, yellow and blue on my palette are super important though as they allow me to give the skin colors above different hues. 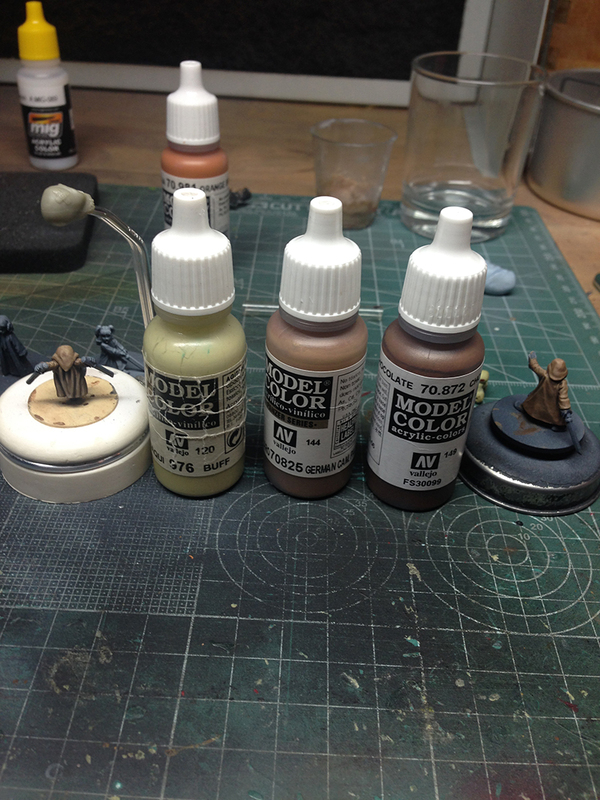 Either by mixing it straight into the skin colors or by glazing pure red, blue or yellow over some areas of the face. I tend to use both techniques. Creating these different tonal variations in the face is what makes it come alive. Use red-ish tones for the cheeks and nose and blue or green-ish tones for the lower part of the face. You’ll be amazed how an otherwise boring looking face suddenly becomes interesting. In the case of this young Jedi boy here, I have added red into the skin color on the exposed side of his face. 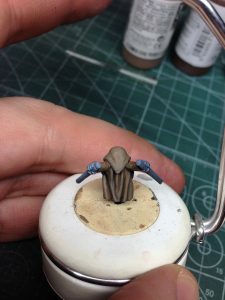 For the side which is half hidden under the hood, I added in blue and purple (with a tendency towards blue) into the skin color. 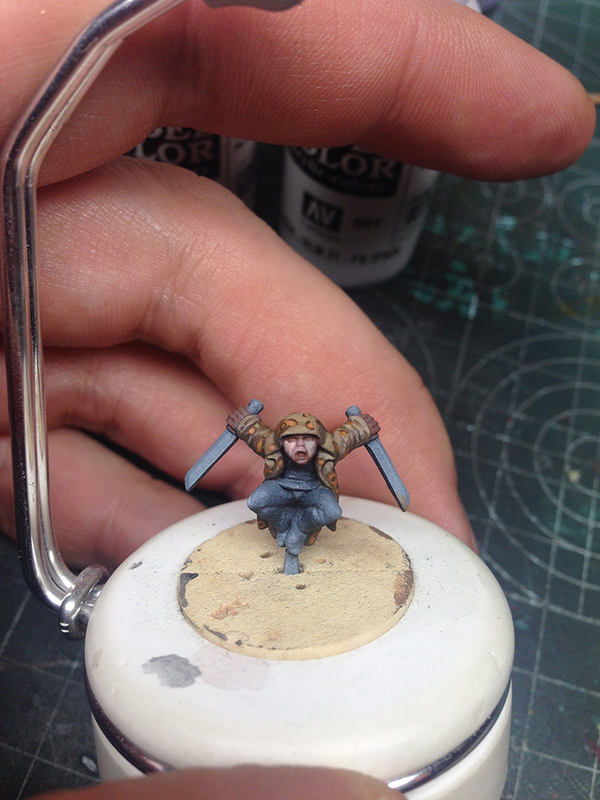 For the trousers and shirt I used German Fieldgrey (MC830) as the base color. 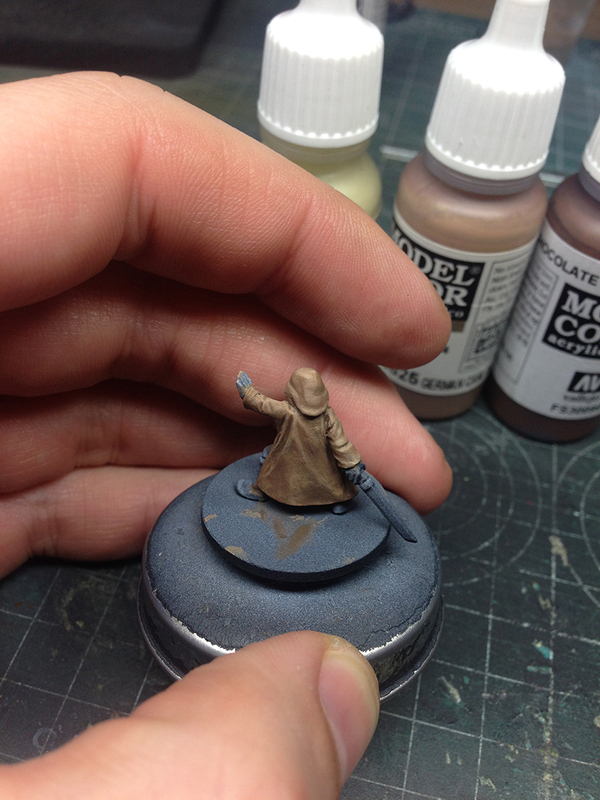 Mixed in Basic Skintone for highlights and black + blue for shadows. 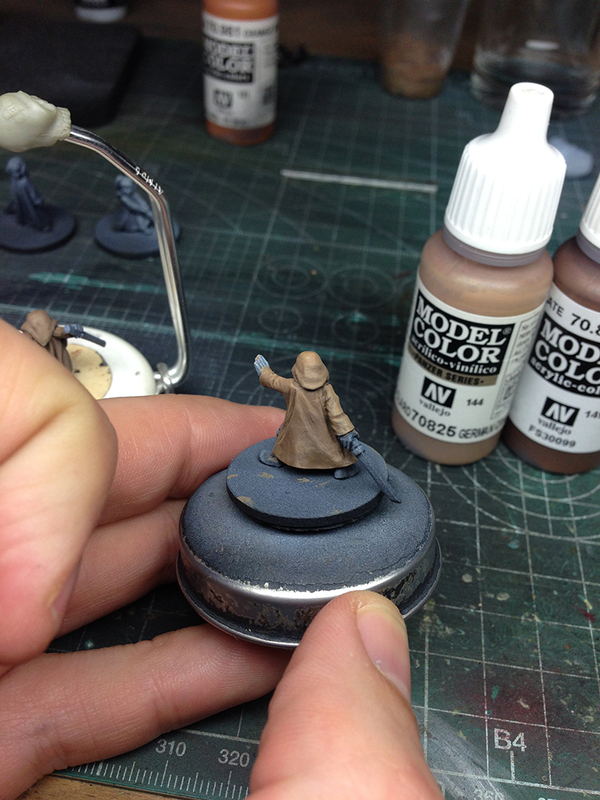 The sword was painted first black and then with a dark silver metallic from ScaleColor (Blackmetal). After that, I used ScaleColor Trashmetal to highlight the edges. Finally, I used dark blue to glaze parts of the sword where I wanted to make it look darker and with less shine. The same colors as for the young Jedi boy above were used for the second Jedi boy. 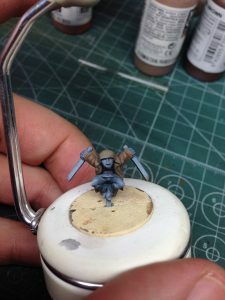 I hope you find this article useful. Cheers and until next time where I will paint some nice pea dot in Spring/Summer colors. 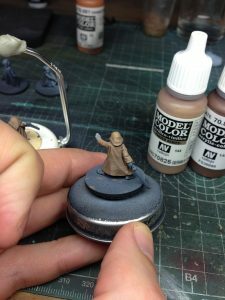 Great stuff – looking forward to seeing how you do the peadot. Excellent tutorial. Looking forward to more your step by step how to paint.